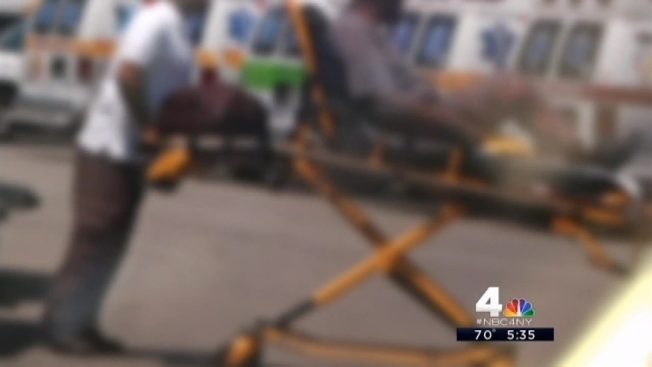 Medicare pays New Jersey ambulance companies for trips to dialysis appointments at a rate more than three times the national average, according to a joint investigation by the News 4 I-Team and ProPublica. In the Garden State, the average dialysis patient takes $10,000 worth of ambulance rides per year, ranking no. 1 in the country. The national average is about $3,300 per patient. According to Medicare rules, basic life support ambulances are not allowed in cases where "transportation other than an ambulance could be used without endangering the individual's health." However dozens of New Jersey medical transport companies appear to be shuttling all or nearly all of their clients on ambulances. Because of a 1972 provision in the Social Security law, dialysis patients -- regardless of age -- qualify for Medicare reimbursement based upon their end stage kidney disease diagnosis. According to MedPac, a government commission that advises Congress on Medicare billing trends, the entitlement is nearly universal, covering about 90 percent of all people with irreversible loss of kidney function in the U.S.
Dr. Robert Kossmann, president of the Renal Physician's Association, says ambulances should be used sparingly under Medicare rules. "Although a stable dialysis patient is sicker than someone who is not on dialysis as their normal state, most of these people are able to go back and forth through regular means of transportation," Kossmann said. A great deal of ambulance activity can be seen in Paterson, N.J., where the DaVita St. Joseph's dialysis clinic regularly has a dozen or more ambulances in its parking lot. The dialysis chain said in a statement that the clinic does not arrange for patient transportation or "have a financial interest in how a patient is transported to and from treatments." The statement went on to explain that the Paterson region "has a fiercely competitive ambulance services market" and "some of these companies have resorted to aggressive and questionable tactics in the fight for market share." The owner of one ambulance company suggested the ambulance industry in and around Paterson is prone to corruption, including the use of cash bribes. "There are some corrupt companies, they will pay for the patient to ride with them -- a significant amount of money," said Faiz Abdulatif, who owns Speedy Mobility Service. Speedy dialysis patients take an average of 187 ambulance rides each in 2012, ranking near the top of the list, but the firm says all of those trips were a medical necessity. "I'm not a doctor, but all of my patients, they got permission from their doctors," Abdulatif said. According to Medicare rules, "the presence (or absence) of a physician's order for transport by ambulance does not necessarily prove (or disprove) whether the transport was medically necessary." Last year, a study by MedPac reported the volume of ambulance transports to and from dialysis facilities across the country went up 20 percent between 2007 and 2011, to 2.3 million. Authors of the study wrote, "dialysis-related ambulance transports raise fraud and abuse concerns." They also noted several fraud investigations regarding dialysis transports in states that have high rates of ambulance use. In response to the growth in ambulance use, the Centers for Medicare and Medicaid Services recently announced a rule change in New Jersey, Pennsylvania and South Carolina -- three states with unusually high ambulance reimbursements. The new regulation -- which takes effect this fall -- requires transportation companies to get prior authorization from Medicare for some ambulance rides. To see how your state ranks and how much ambulance companies in your community charge Medicare, check this tracker created by ProPublica. Across the Hudson River in New York, the average Medicare dialysis patient took about $2,200 worth of ambulance rides in 2012. Gussie Rhodes, a dialysis patient in Brooklyn, takes a cheaper form of transportation to her appointments three times a week -- a wheelchair van. "It concerns me because I don't think it's fair. You have as many sick people in Brooklyn as you do in Jersey," she said.